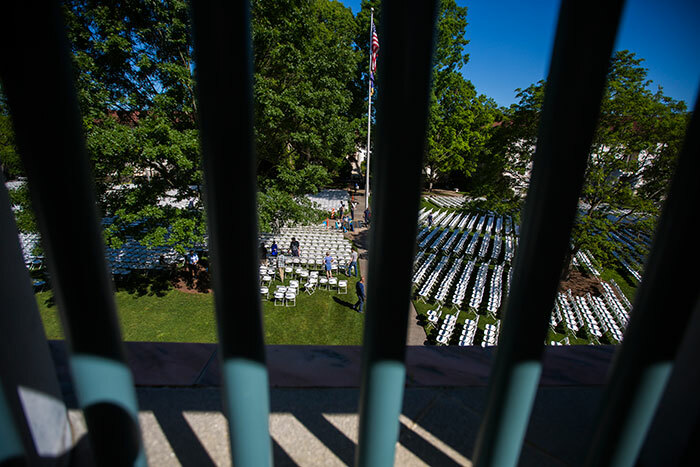 On Monday, Emory's Quadrangle will be filled with thousands of students, faculty, family and friends celebrating the university's 172nd Commencement. 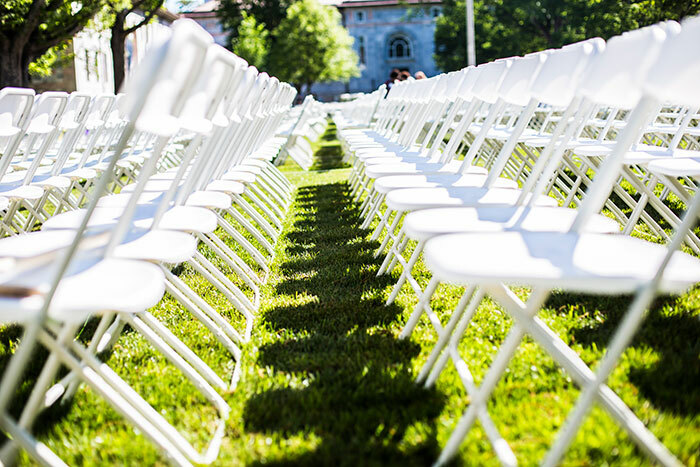 But first, they will need a place to sit. 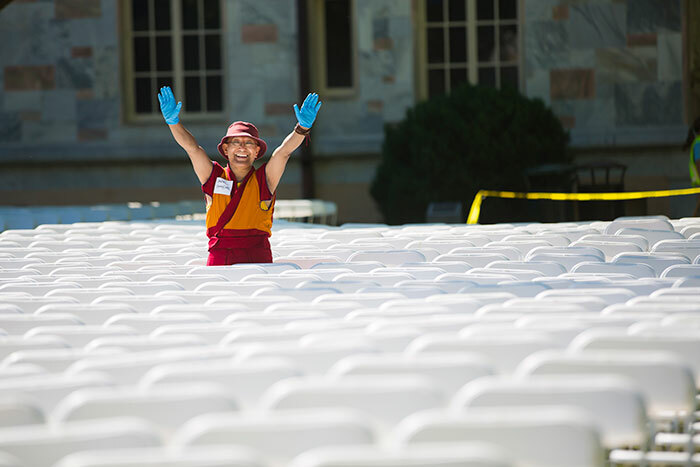 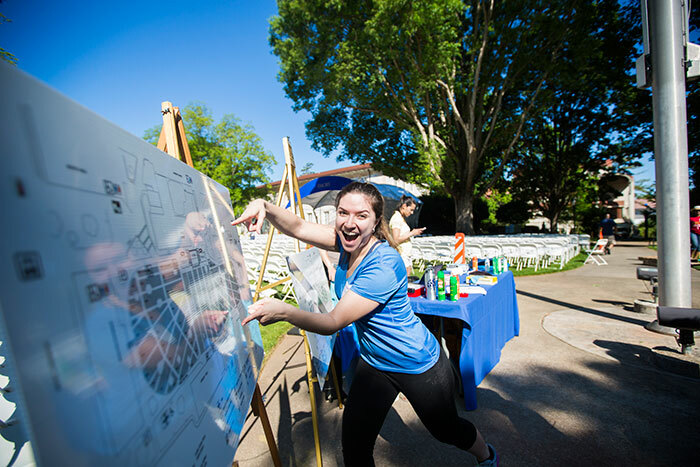 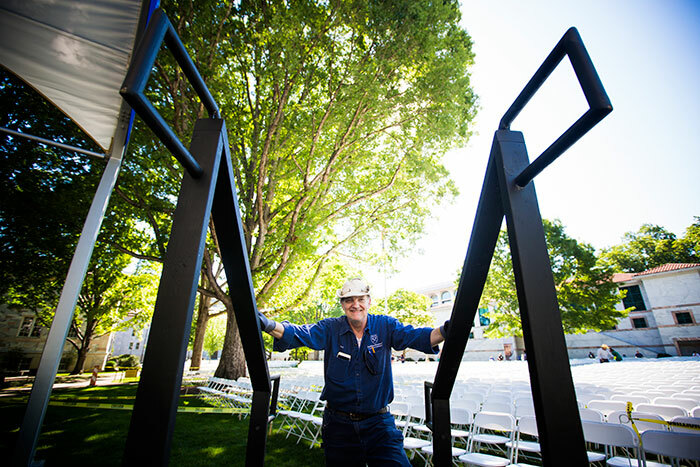 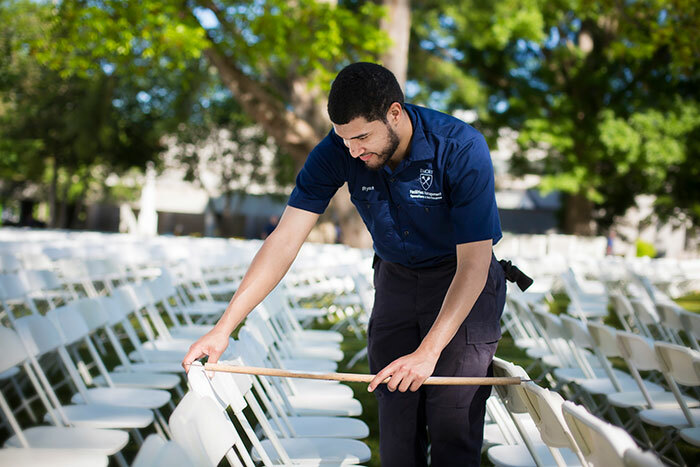 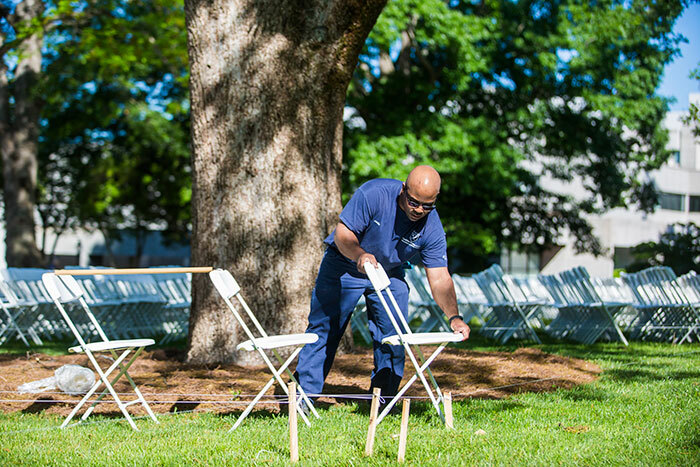 The annual Chair Rodeo, held Wednesday, May 3, is a popular Emory tradition drawing employees from across the university to help set up chairs for the crowd of approximately 15,000 expected to attend Commencement. 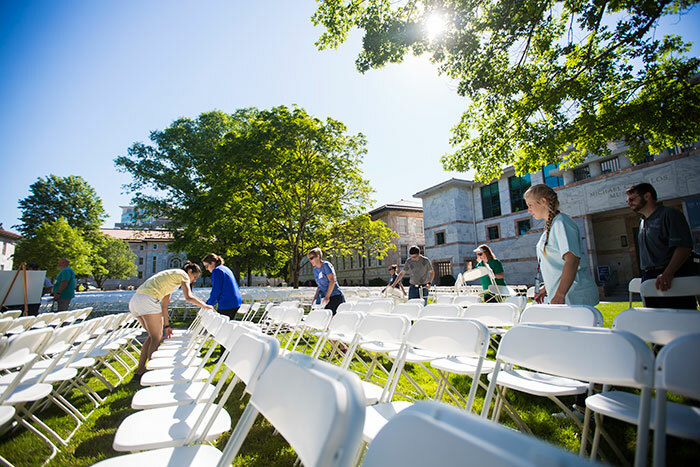 Volunteers gathered from 9 a.m. to noon to place the chairs in hundreds of precise rows and zip-tie them together to keep them in place.